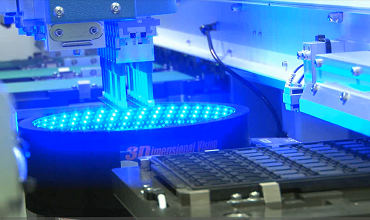 NDC International Vision Inspection Systems measure the most accurate readouts for a number of 2D and 3D applications. Whether it be package, PV (solar), wafer, mechanical parts, or PCB inspections and more, we ensure you’ll be receiving the best possible system for your business needs. In fact, our HANMI Vision Inspection System was ranked as the World’s #1 “Pick and Place” Package Handling System for outstanding quality, reliability, and productivity. And with it’s optional package side inspection, you’ll be able to inspect the package cutting surface through an additional side inspection module (QFN, QLP, MLP, MLF, LFCSP, Camera Module).